[동아닷컴=정희연 기자] In just two days, YG Entertainment will be launching its first girl group in seven years, and it has released posters featuring all the members of BLACKPINK and a poster of JISOO. The countdown posters feature all BLACKPINK members holding fireworks with big smiles on their faces against the backdrop of a dark night. In her poster, JISOO is looking straight at the camera with her long hair down, showing off her innocent yet graceful beauty. JISOO featured on EPIK HIGH’s “SPOILER+HAPPEN ENDING”, a track in the group’s 8th album released in 2014, and appeared on the music video of HI&SOOHYUN’s “I’M DIFFERENT”. Last year, she also appeared as a cameo in KBS2’s drama “Producer”. She has made a name for herself by modeling for various brands although she is yet to debut as BLACKPINK. JISOO received much spotlight for her gorgeous looks, and music fans consider her as one of the hot rookies to look out for this year. Fans are just waiting to be swept off their feet by JISOO’s charm after she debuts. The average age of BLACKPINK’s members is 19, and all the members have gone through rigorous training at YG from four to six years. Expectations are running high for the group in the global market as they have the talent and the ability to communicate in foreign languages. 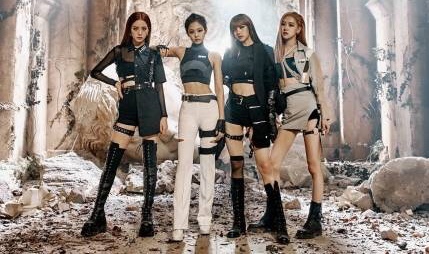 Meanwhile, BLACKPINK is to release their new singles at 8 PM on August 8, and at a debut showcase that will be held earlier in the day, they will meet the public for the first time.